Prices listed are EXW Zurich (Incoterms 2010). Watercooled evaporation source for thin film deposition. Layer growth of various materials at operating pressures in the lower 10E-10 mbar range. 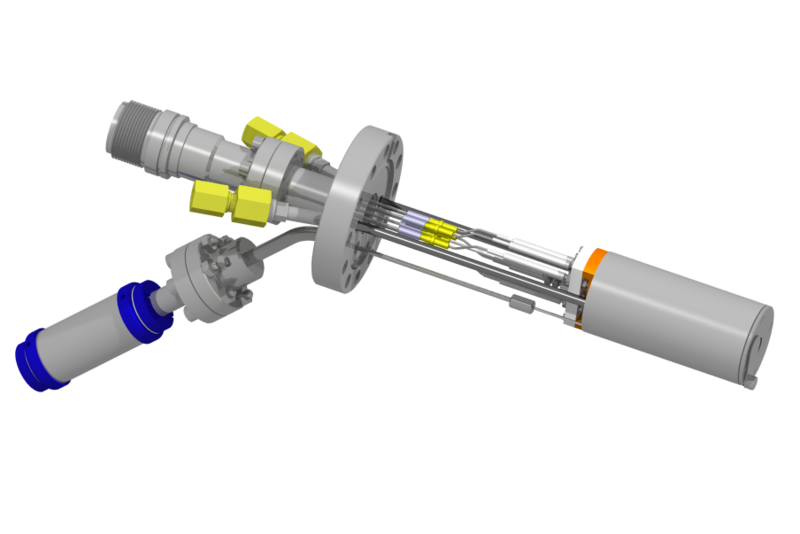 A fully refurbished, precision magnetically driven sample transporter with independent rotary motion of the inner shaft. Linear travel = 1250mm. 1-axis motorized high precision drive for MD40 linear/rotary feedthroughs, for automatic and reproducible extension of the shaft. Rotary motion is done manually. 1-axis motorized high precision drive for MD16 linear/rotary feedthroughs, for automatic and reproducible extension of the shaft. Rotary motion is done manually. 2-axis motorized high precision drive for MD40 linear/rotary feedthroughs, for automatic and reproducible extension and rotation of the shaft. 2-axis motorized high precision drive for MD16 linear/rotary feedthroughs, for automatic and reproducible extension and rotation of the shaft. Motorized DN40CF linear/rotary feedthrough with precision spindle drive, for automatic and reproducible extension of the shaft. Rotary motion is done manually. Motorized DN40CF linear/rotary manipulator with precision spindle drive, for automatic and reproducible extension and rotation of the shaft. Configuration example of a 2-axis motorized precision drive unit equipped linear/rotary feedthrough with attached sample storage stack for flag style sample plates. The motorized drive unit provides automatic and reproducible extension and rotation of the shaft.